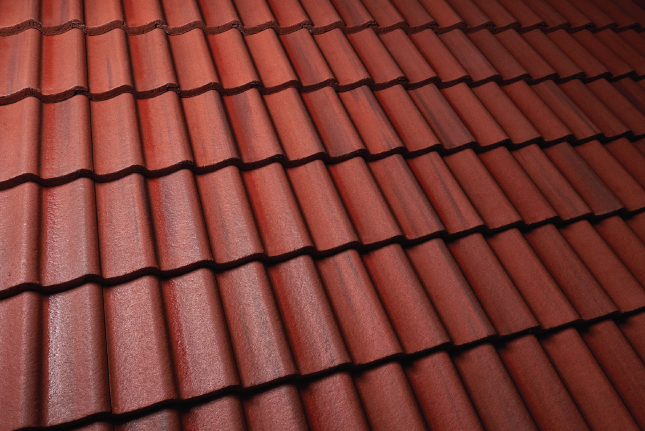 Russell Roof tiles have a number of tile products which when laid give a clay appearance. From the traditional clay pantile look or the more classic clay plain tiles Russell have a concrete option which can create the same appearance whilst giving the commercial benefit of using a concrete tile. The Russell Commercial Range – The Russell Pennine is an interlocking double pantile which when laid looks like a clay pantile roof. The Russell Regency Range – The traditional Russell Plain tile in Terracotta and Peat Brown colours replicate the look of the classic clay plain tile roofs. 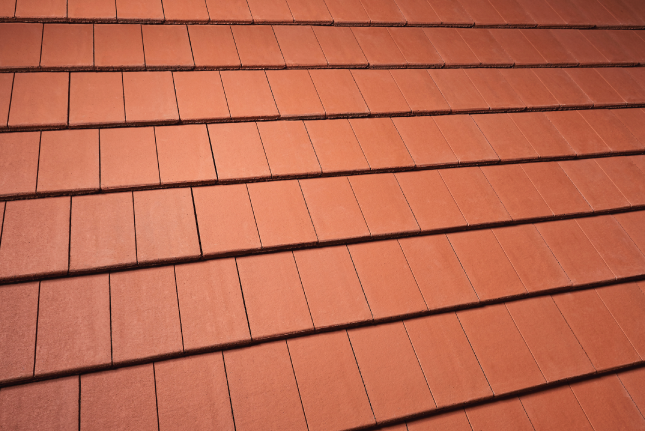 To compare with the more natural multi coloured clay plain tiles Russell Roof Tiles have launched our Blends. These are created by randomly mixing 2 or 3 Plain Tile colours on the same roof give the appearance of natural clay. The Russell Natural Range has launched the Bute to give a small tile format look whilst still having the advantage of using a larger tile with the commercial benefits that creates. The Russell Pennine Tile is a traditional Double Pantile which gives the appearance of clay pantiles when laid. 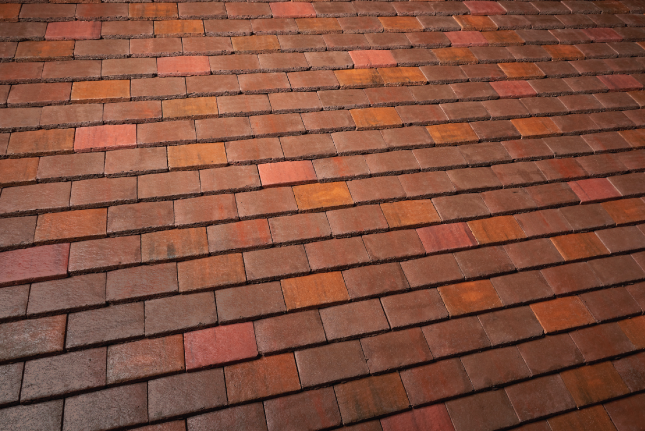 It is available in a range of colours but it is the Terracotta, Cottage red and Peat Brown which best reflect natural clay colours. For more information please click on the link below. The Russell Plain Tile has the appearane of a traditional clay tile but the strength and economy of a concrete. It is available in a range of colours but it is the Terracotta and Peat Brown which best reflect the natural plain clay colours. It is ideal for projects where subtle aesthetic appearance and cost efficiency are a priority. The Russell Plain Tile Blends are a mixture of colours on one roof which when laid at random give a natural clay look. Russell Roof Tiles have developed a number of Blends over the last few years to either match in with existing roofs, or to develop a new natural look. 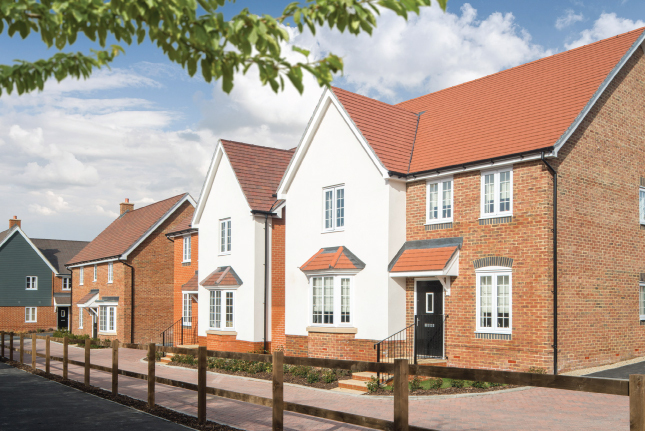 These have been approved by planning authorities who have originally been looking for clay, but have opted for a Blend as it provides the same overall appearance, with the added commercial benefit that a concrete tile offers. The Russell Bute tile is a larger format thin leading edge tile and when laid at either 145mm headlap or 165mm headlap reduces the visable face of the tile making it look like a smaller tile. 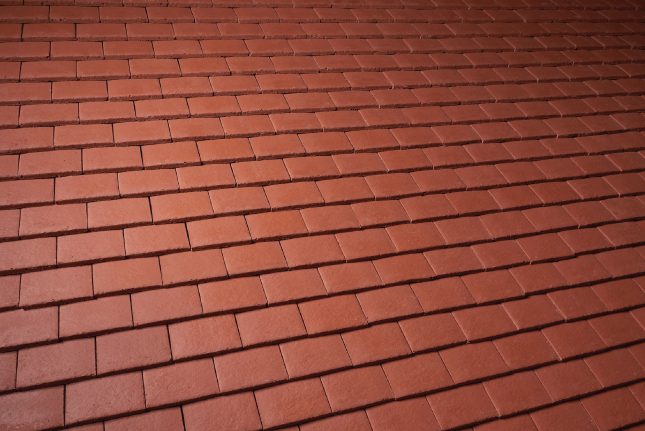 This gives the look of smaller format interlocking clay tiles but with the commercial benefit of concrete.